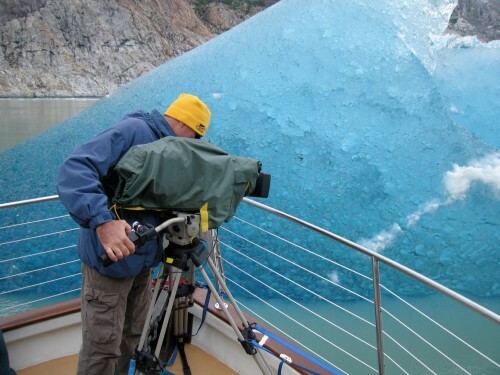 Whilst filming scenes for our film ‘HUMPBACKS FROM FIRE TO ICE’ Ross was able to record one of the rarest events in nature at the face of the Dawes Glacier in South East Alaska. Some giant icebergs the size of houses break off at the base of the ice cliff, over 200 metres underwater. They’re called ‘shooters’ because they shoot up from the depths at the face of the glacial terminus. 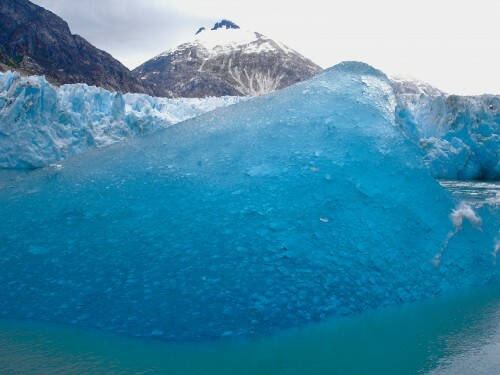 They become part of the berg ice that is scattered across fjords and bays. 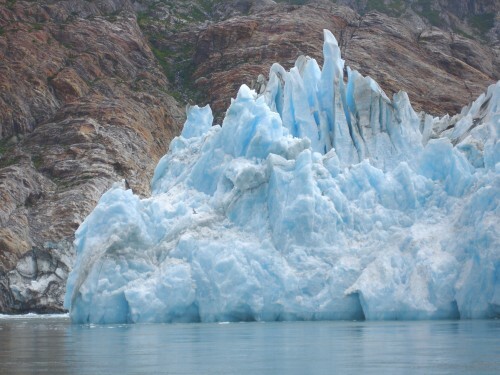 Their ice crystals have been imprisoned under millions of tons of ice for thousands of years. 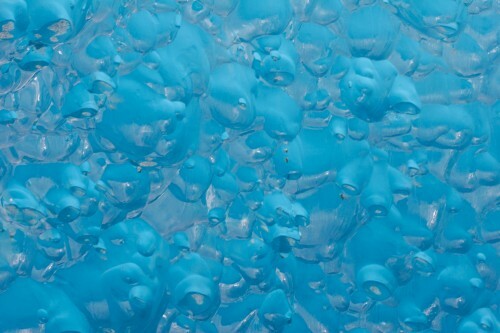 They’re so compressed they refract light in such a way that the ice appears a bright sapphire blue. The massive terminus where the shooters rise up from the depths. This is the shooter with it’s extraordinary sapphire blue crystal formation, strangely in the shape of a humpback whale. 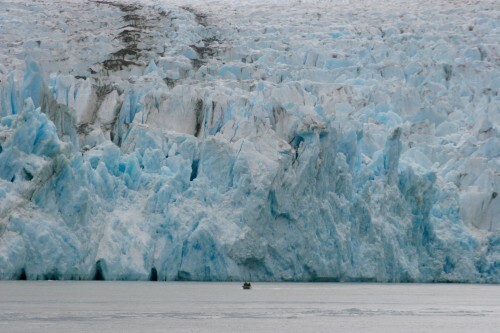 We approach the glacial terminus in a tiny boat from our mother ship. This shows the scale of the massive river of ice slowly creeping down from the mountains.